History Of The Most Beautiful Training Center In The USA. So many people passed through the fort's gate. So many lives would never be the same. Fort Ord's location on the Monterey Peninsula resulted in a unique tour of duty. 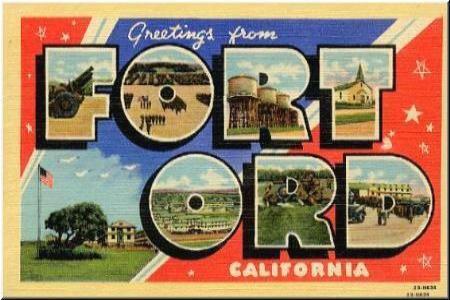 Fort Ord, California was an experience that many individuals would never forget.